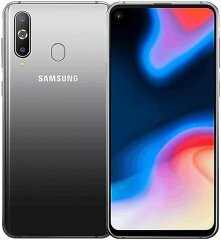 A high-end Samsung Galaxy A-series smartphone geared towards Phonerated's list of the best phones for photography, the Galaxy A8s's biggest pro comes in the form of a triple-lens main camera that consists of a 24-megapixel main lens, a 10-megapixel telephoto lens promising clear zoomed photos (It supports 2x optical zooming), and a 5-megapixel Live Focus lens for bokeh effects and depth-of-field adjustments. 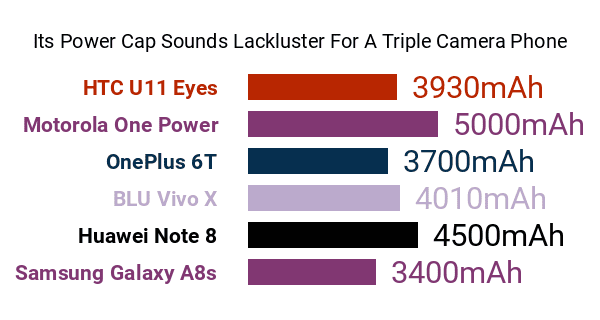 The aforementioned perk aside, though, the A8s is not immune from some slight cons, one of which is its 3400mAh-only battery capacity that misses the 4000mAh threshold reached by many semi-high-end and flagship-class 2018 smartphones. Also, its Type-C headset jack might come off as a tad problematic for some users, since, as we were reviewing its pros and cons, a 3.5mm port was still pretty much the industry standard. 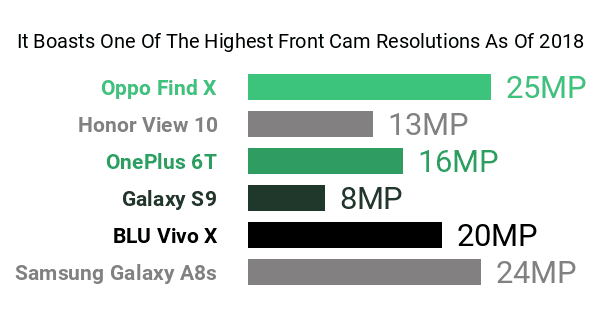 Going back to its selling points, this 7.4mm-thin Galaxy A model touts a highly-competitive 24-megapixel selfie camera that brushes shoulders with the front cams of some of the best selfie smartphones around, although the absence of a front-firing LED flash sounds like a minor con. The A8s rocks what Samsung calls an Infinity-O display measuring 6.4 inches wide and sitting on an expansive 19.5:9 aspect ratio and a 2340 x 1080 Full HD+ definition. Feel free to pit its facade versus those of some of the best large-screen phones here. Going over to its processing specs, the Galaxy A8s runs on Qualcomm's Snapdragon 710 processor, which is a dual-cluster eight-core chip composed of a 2.2GHz dual-core performance cluster and a 1.7GHz hexa-core cluster for day-to-day activities and undemanding applications. It is coupled with a large 6GB RAM . Also among its pros and cons are Samsung's signature Bixby mobile assistant (with the Bixby Vision image-searching tool) as well as the NFC-powered Samsung Pay mobile wallet app. 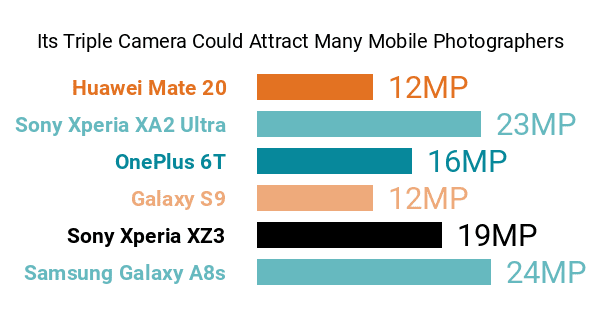 So, with the kind of pros and cons that it brings to the table, the Samsung Galaxy A8s sounds like a solid choice for mobile photographers and multimedia junkies who aren't very meticulous when it comes to battery life.